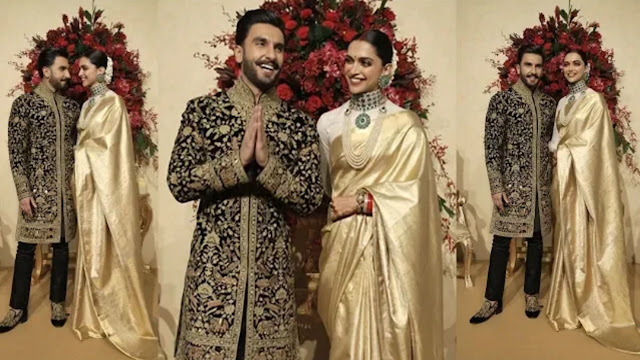 Newlyweds Deepika Padukone and Ranveer Singhhosted their first reception at The Leela Palace, Bengaluru. The reception was specially for Deepika’s family and relatives. The couple tied the knot at the scenic locales of Lake Como, Italy on November 14 and 15 as per Konkani and Anand Karaj rituals. They returned to Mumbai on November 18. On November 20, DeepVeer left for Bengaluru. The couple kept their wedding a private affair and treated us with a few pictures of their wedding on their social media handles. We came across the first look from the first wedding reception of the couple that looks so majestic and royal. Here is the first picture. Deepika is dressed in a golden saree gifted by her mom Ujjala Padukone and Ranveer looks dapper in Rohit Bal’s ethnic attire. Have a look at the first picture. 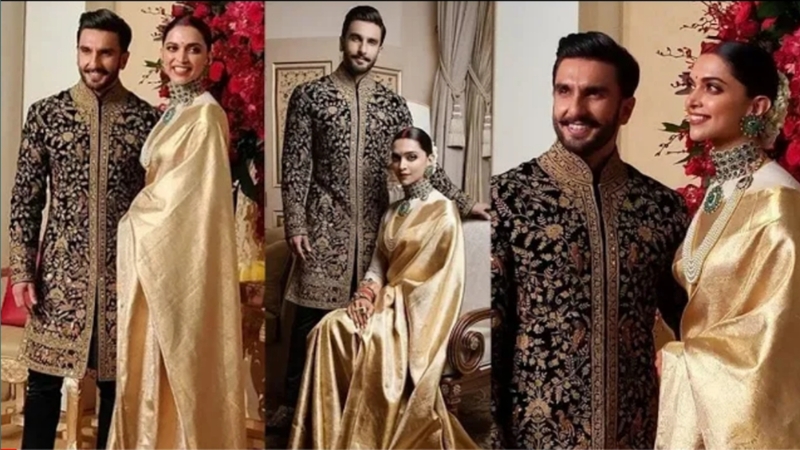 For the Mehendi and the wedding, the couple donned colour-co-ordinated outfits designed by ace designer Sabyasachi Mukherjee. Even when they arrived at the Mumbai airport, Deepika and Ranveer were seen twinning in the same colour. Also when they left for Bengaluru, they opted for the same colour. Newlyweds Mr and Mrs Bhavnani are giving us major couple goals. 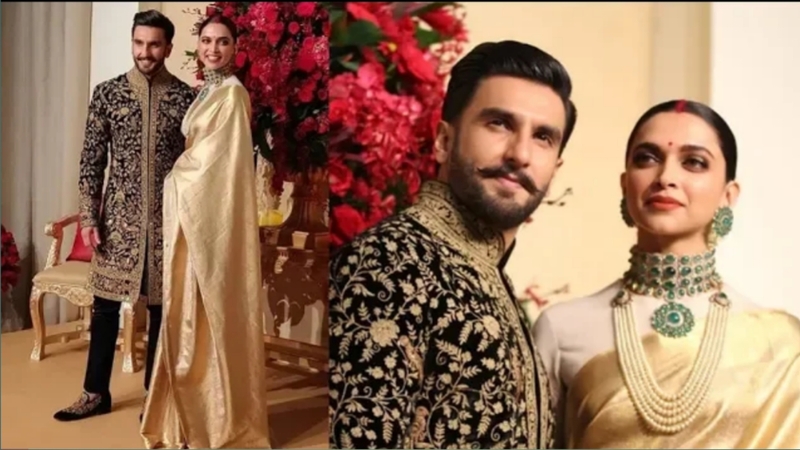 For more updates on Deepika-Ranveer’s Bengaluru wedding reception, keep reading our space.